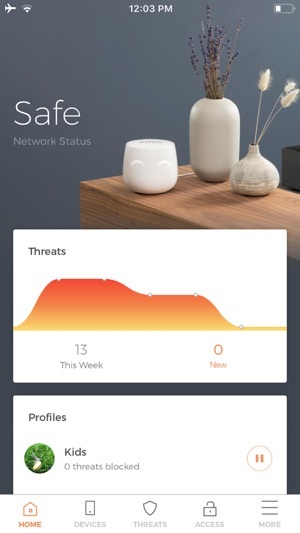 Home or away, our app gives full control over your home Internet security with your CUJO. 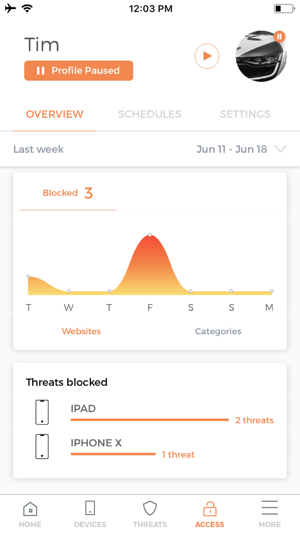 See connected devices, get alerts when we block threats and manage your CUJO. 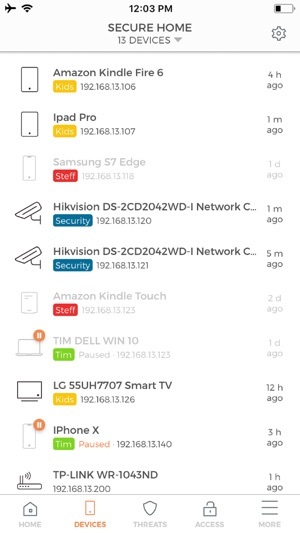 We monitor all devices connected to your network and detect whenever somebody attempts to penetrate your home. We analyze data entering and leaving your home to block hacks, viruses, and malware before they can do damage. Criminals use phishing and other hacking techniques to perform crimes against kids and adults. Apart from financial crimes, they can stalk us, impersonate others, and more. CUJO keeps our families safer at home. So...I’m a whistleblower in corrupt South Texas. For the past five years, I have been the target of sustained, organized criminal hacking. I have a graveyard of computers in my attic. I have spent thousands of dollars on cyber security that always seemed to get breached by dedicated crackers. It’s been a nightmare. Apple has been slow to admit that criminal hackers have various ways to exploit vulnerabilities in Apple devices so when I read about Cujo, I decided I had nothing to lose. The device itself is very impressive and does exactly what it says it will do: it fights off attacks on and attempts to enter my network through the modem/router 24/7. And that’s no mean feat as crackers act like their freedom depends on them making sure they have control of my devices and communications (which, of course, it does). At any rate, organized attacks and exploits are occurring every 1-2 minutes and Cujo appears to catch them all. For the first time in a long time, I feel in control of my own network. Likewise, the customer support can’t be beat. Knowledgeable, polite, willing to do what it takes to get your network secured by Cujo. It’s very clear the techs understand the threats out there and are confident in Cujo’s ability to fight them. I couldn’t be happier with Cujo. Well done. I'll start by saying that this product is great. It does exactly what it advertises however it may be too sensitive and therefore notified on several instances where it could otherwise be silent. Today alone I've received north of 15 notifications. 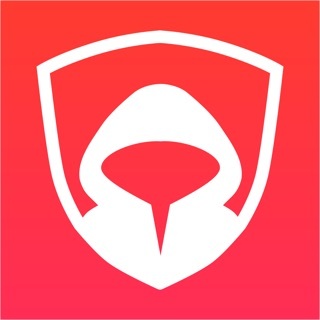 To clear the app badge on my phone I have to go in there and read each, one at a time when most of them are threats based on advertisements nested in web pages. 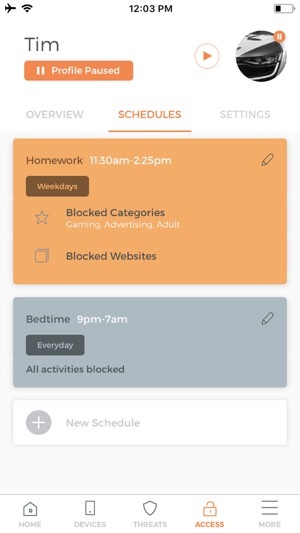 Instead you should be able to clear them by either swiping and selecting delete or selecting an edit button and then checking off which ones to mark as read and/or delete. When going into the app you should also be able to notify based on criticality vs. every incident type. Also be able to set a default view of your preferences around app configuration as well as adding more depth to notification options. On a scale of 1-10 I give the app a 7 around maturity. Well executed so far but has a way to go. I generally don’t leave reviews. But I’m frustrated enough to write a review for this app. It has not been optimized for performance and has a great lag between page navigations. One needs to tap atleast 3 or 4 times before the page moves back and forth on most pages of this app! Help page in the app takes you through a continuous login loop. The CUJO app, it looks like, has been written by some one who has no experience in app development. The app design has no emphasis on quality or customer experience. Software quality control processes appear to be none or limited. 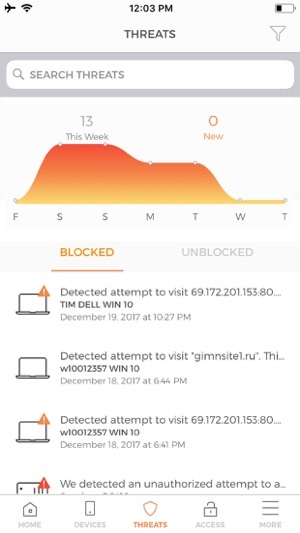 There is no support for troubleshooting, viewing live traffic detail beyond a screenful of IP addresses, not suitable for any one who wants to be able to have some additional information on what is happening with their device. There are so many other things I can go on and on. Frustrated! The only saving grace so far is the hardware device seems to be working ok with its default setting, if you can accommodate all the app issues.